Baseball season begins this week, and at Shelton Brothers that means one thing: Get out and drink more beer! Or just go to the store and buy more beer to enjoy on your couch while you watch baseball on TV. Whatever, even if you hate baseball, we have some exciting announcements that’ll swing you right into spring — and possibly help you get to first, second, even third base with that special someone you’ve been eyeing all winter. Batter up! Danish gypsy-brewer king Mikkel Borg Bjergsø has recently replenished our stock of the hugely popular Mikkeller Simcoe IPA in cans. Because we’re perpetually subservient to Mikkel’s whims, we can’t always get what we want — but luckily he had a massive stock of hops taking up space in his locker room, and was essentially forced to step up to the plate and supply with us more of this 6.9% India Pale. Brewed up fresh right here in the US of A at Sly Fox, this stuff’s as American as our National Pastime, and is the perfect accompaniment to high-end ballpark franks. With mustard. Mikkeller Simcoe IPA is available in cans. 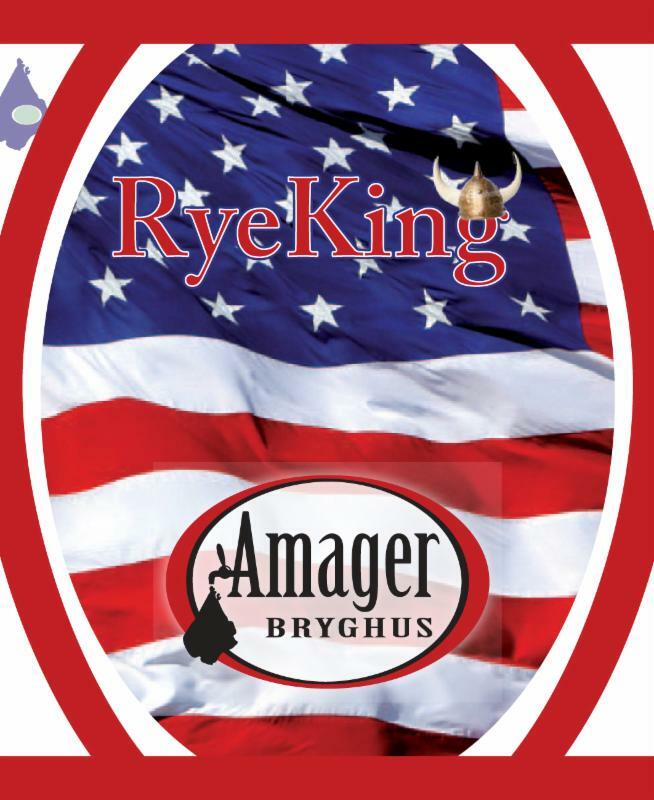 Another Danish brewery, Amager, has come through in the clutch early in the season with a first-time-in-America release — RyeKing, a collab with John Laffler (now of Off Color in Chicago). The former Goose Island barrel master launched his own operation in the Windy City about a year and a half ago, and is now bringing a little Scandinavian heftiness to the nippy springtime heartland (as well as points East and West). Surely this 7.7% stout will be the perfect fortifying brew for those chilly afternoons in the Wrigley Field bleachers, or anywhere else great baseball is played in inappropriate weather. RyeKing is available in 500mL bottles and 30L kegs. 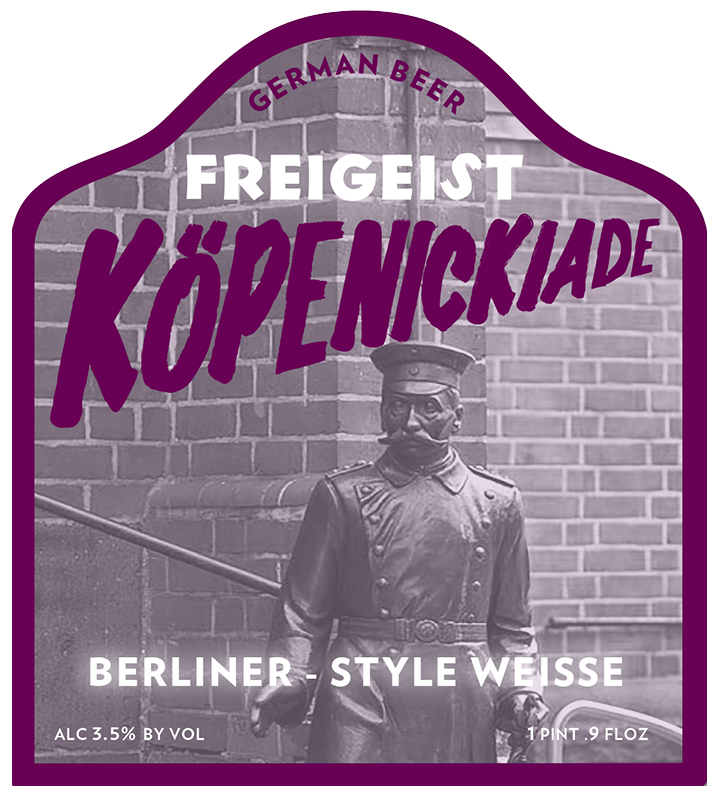 It’s Opening Day for Freigeist‘s latest creation, Köpenickiade. Hard to pronounce but so easy to enjoy, this modern interpretation of a Berliner Weisse is made with barley and spelt malts, and weighs in at a classic 3.5%. According to brewer Sebastian Sauer, this new brew is clean and fresh, with an “unbelievably high drinkability.” It’s also reputedly more sour-ish than a traditional Berliner, which should not only fare well with tartness-geeks but also make it the perfect accompaniment to screaming at the umpire this summer. 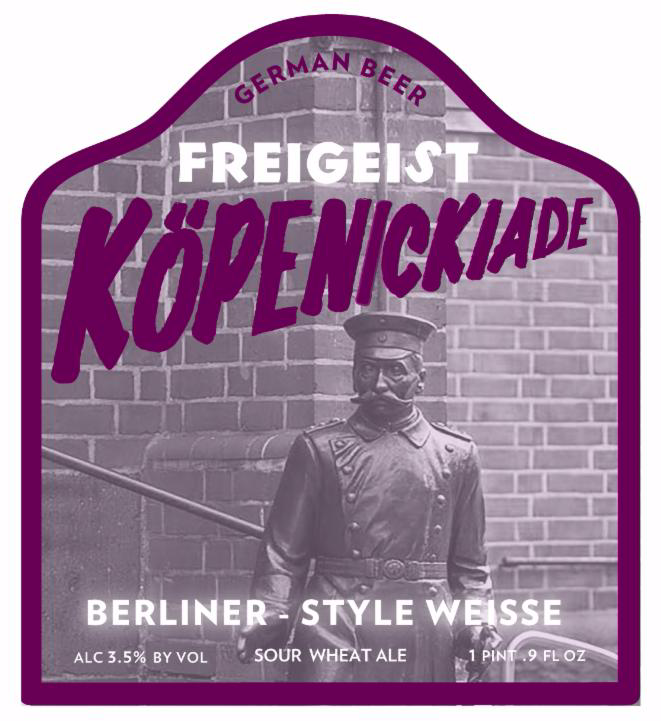 Köpenickiade (“kerp-eh-nik-ee-a-deh”) is available in 500mL bottles and 30L kegs. Lastly, if outrageous ballpark beer prices deter you from making the trek out to the stadium this season (or from paying good money for a “normal” beer! ), there’s some great news for couch-potato or beer-bar fans — the hombres from Spain’s Marina Cervesa Artesana have massively dropped prices on their deliciously drinkable, well-crafted ales this spring. Favorites of ours for several years now, the beachside cervezeria’s lovely Costa Brava, Devil’s IPA,Mas Cremat, and others will now be accessible to those who want to ride the “session” wave without breaking el banco. But please, while it’s unavoidable that you’ll helplessly drink one Marina after another, we ask that you refrain from doing The Wave. 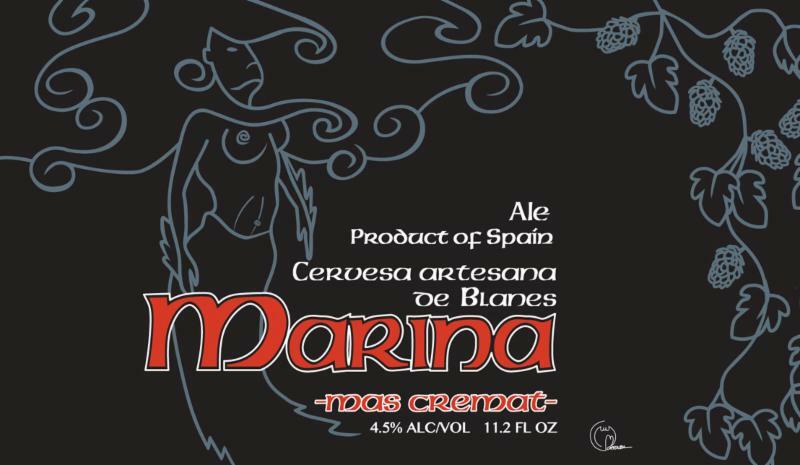 Marina ales are available in 330mL bottles and 30L kegs.